Top Bar Hives and Their Like. Have you seen what's inside a mud wasp nest? 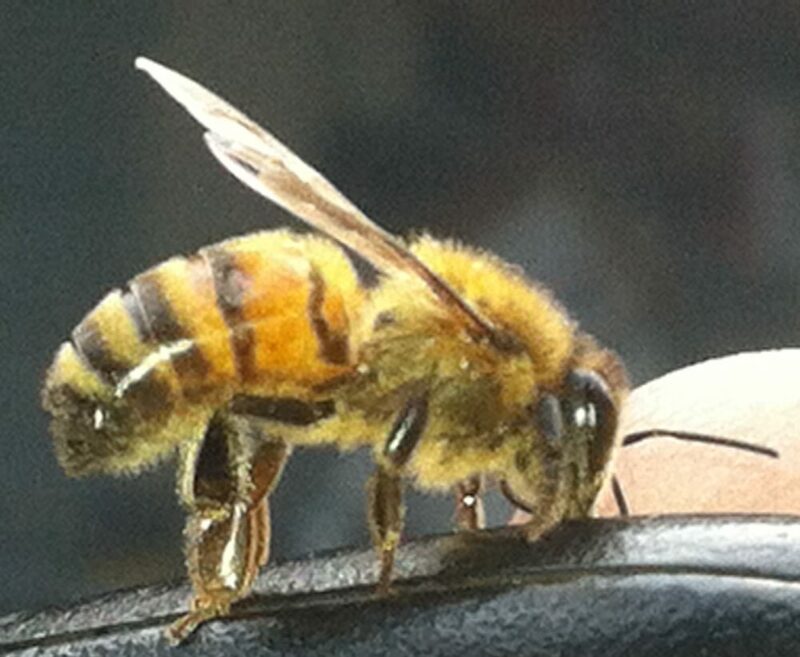 Bees will literally choose anywhere to lodge. 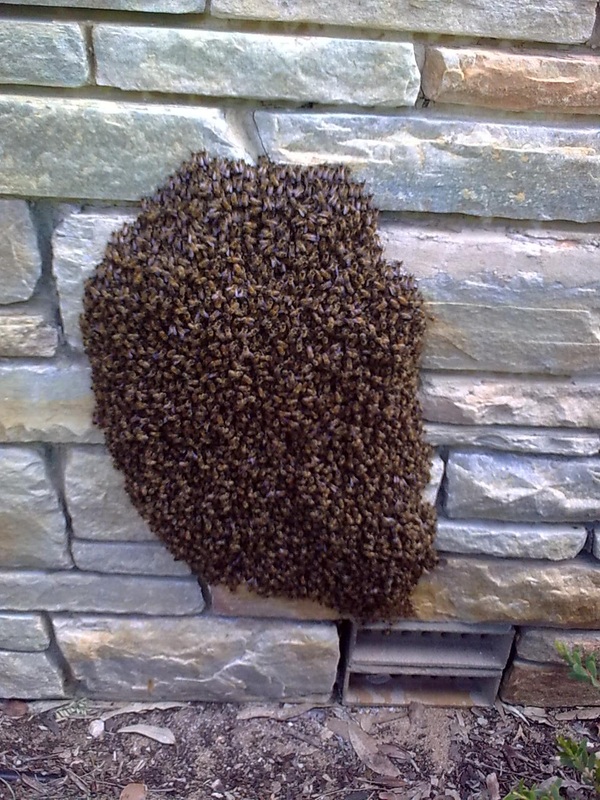 This swarm arrived perhaps in the hope of moving into the large space within. 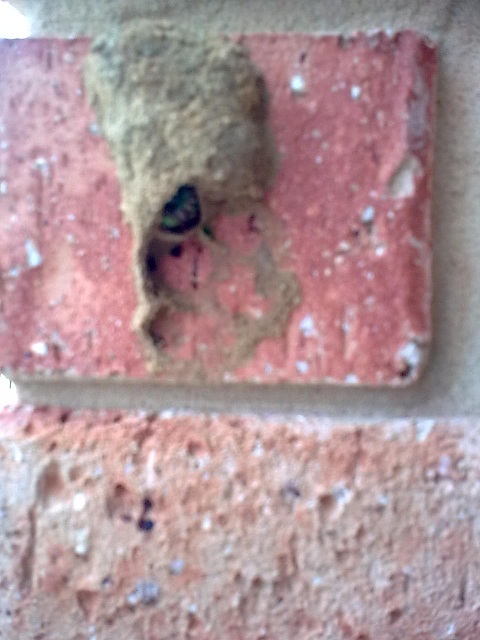 This large swarm has attached itself to the exterior wall of a large building and is intent on moving into the cavity through the vent at the bottom. 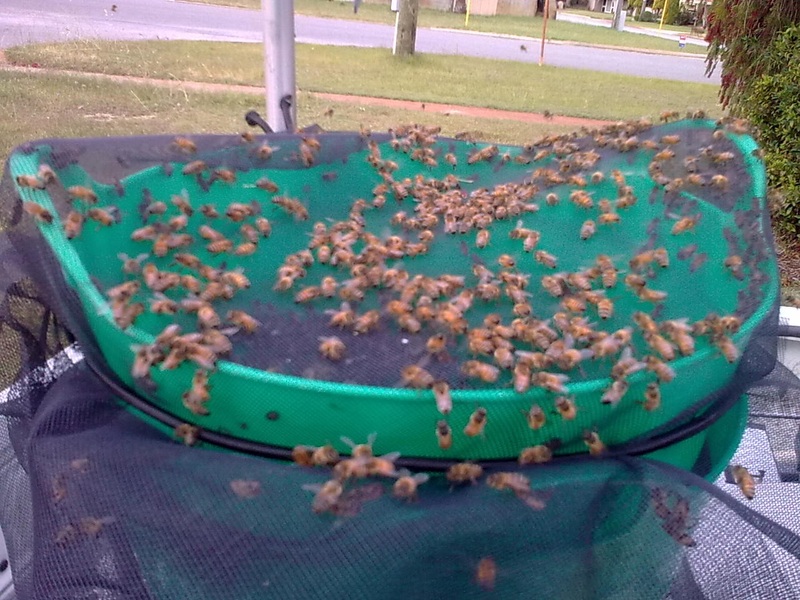 I am busy trying to rescue many bee swarms that are currently on the move in Perth. 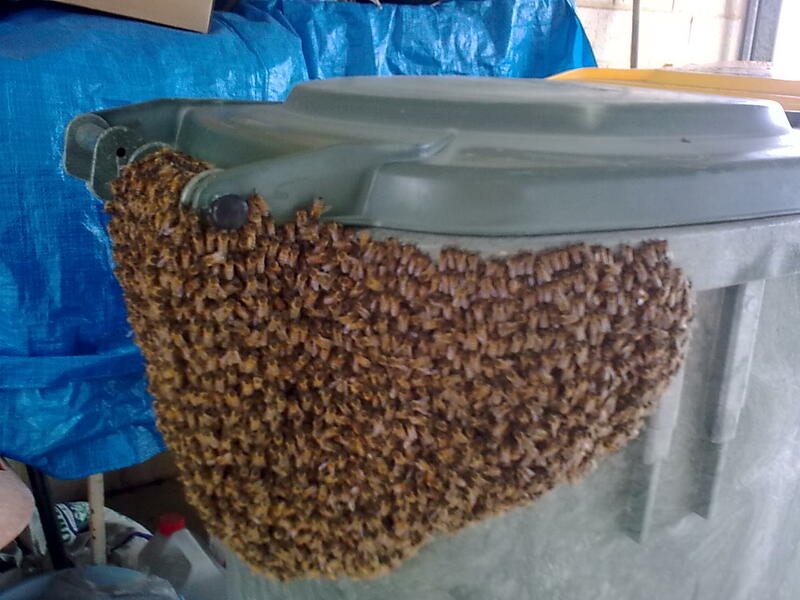 You will notice from the attached picture that the swarm can sometimes be tricky to transport bearing in mind that it is the daytime and not the night which is the ideal time to move them. they being drawn there by the pheromones of the bees which in turn derive theirs from the queen. 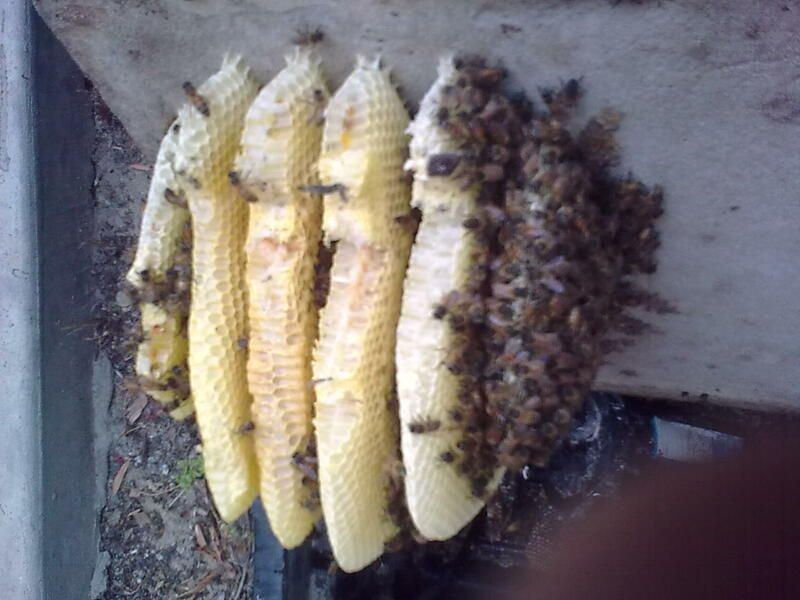 I’m glad to say that this swarm is now housed in a proper bee hive and the species seems to be a good one. I’m hoping that the temperature does not maintain mid summer intensity in this part of spring as this can make keeping the bees cool extremely difficult.